It is a well-known fact that women are always into everything that makes them more beautiful, and make-up in probably at the top of this list. 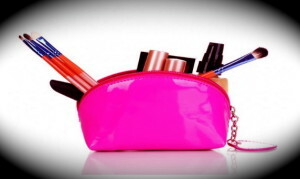 However, while adding another eyeshadow, lipgloss, lipstick or another item to their make-up collection, women hardly ever think of the expiration date of these products, missing the obvious dangers coming right from their cosmetic purse, and precisely bacteria and fungi are responsible for numerous diseases caused by the expired make-up like allergic contact, perioral or irritant contact dermatitis, even depigmentation of skin. After a certain time, our make-up will surely become a home to the bacteria like Escherichia coli, Bacillus subtilis, Staphylococcus aureus, fungus Candida albicans, and molds like rhizopus, aspergillus, and penicillium. One can easily determine the expiration date of a lipstick. If oil drops happen to occur on its surface, in addition to an unpleasant smell, it means this lipstick is no longer usable. Most lipsticks can last up to two years after opening, and you should dispose of your favourite lip-gloss after a year. Likewise, eyeshadows tend to be used even two years after they had been opened and for many of us, it is more likely it’ll be dragged around in a purse and become pulverized before we decide to toss it. Eye pencils also last about that much, two-years-time, but they should be regularly sharpened, which in turn “releases” them from bacteria. Also, long and thick eyelashes are every woman’s dream which is why many of us have at least several of mascaras in our purse. But, they are especially liable to spoiling in relation to other cosmetic products, since through opening and closing mascara we actually push the air back into the mascara bringing along microbes into the product as well, which is why mascara dries out faster. The old mascara should be replaced by the new one after six months. And finally, face powders. Their expiration date depends upon on their base component, oil or water. Oil-based face powders (foundations) can last up to two years while water-based foundations can last only up to a year. It is very important to pay attention to the expiration date of a face powder, after all, this is the one cosmetic product you apply over your entire face and some awkward irritations are nobody’s wish. Make-up applicators like brushes should also be taken care of. They need to be washed with an antibacterial soap and dried completely because precisely they transfer bacteria from one cosmetic product to another, thus potentially leading to serious health and aesthetic problems.